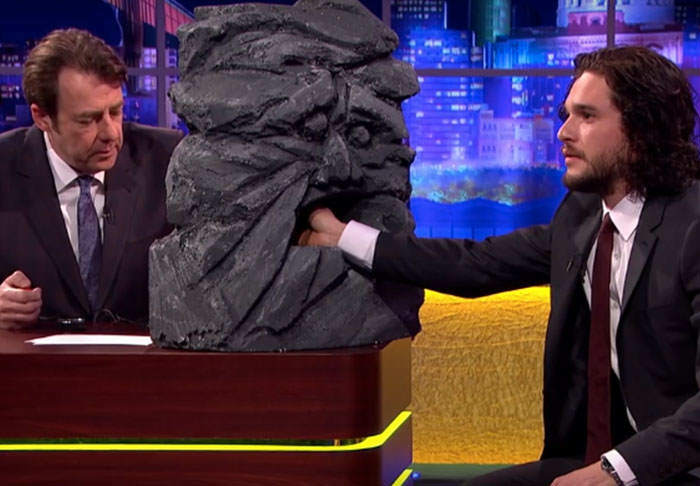 Jonathan Ross had an opportunity not afforded to many Game of Thrones fans on the latest episode of The Jonathan Ross Show – he got to grill Kit Harington on his future in the series. Knowing Harington would be all too aware of cheap journalistic tricks, he struck a deal with the man who plays Jon Snow. Harington would only have to answer yes, no, or the ever-appropriate ‘I know nothing’. But there was a twist – Harington would be hooked up to a home made lie detector that would deliver a nasty surprise if he was perceived to be lying. Ross wasted no time in getting to the core of fans curiosity, asking if Harington would be playing a dead body in the latest series. The answer was yes, but don’t get carried away, Harington swiftly denied he would be playing a white walker. We are finally in April though, which means the countdown to season six is in full effect, and the answers will soon be ours. Just 20 more sleeps to go.